This location is nestled away in the woods for a true experience of Mother Nature from the comfort of a climate-controlled cabin. There were several moose and deer sightings right on the property with a short hike to a lake or creek. The area has some resorts, gift shops, and a bait shop (about 2 miles from the cabin) for convenience and it's right about the halfway point of the Gunflint Trail so equidistant to the northernmost point and Grand Marais. The cabin should have just about everything you need to enjoy your stay, which makes packing practically effortless (especially compared to camping). We are already making plans to return! The house was spacious, clean, and modern, and it contained all of the amenities that we needed to experience a nice getaway from the kids. The location, though conveniently close to amazing hiking trails, is far away from a decent restaurant, with the exception of the restaurant at the Blu Fin resort. Great location, very quiet, lovely decorations, great atmosphere. Service from managers was outstanding and personal. Thanks! The place was superb. Everything was clean and everything worked. As always, really enjoyed the stay. Foxcove is not a private location. We rented expecting privacy for a romantic getaway. We were dismayed to find the neighboring lake home, Foxfire, had been rented for the same time period. A number of reviewers mentioned that when Foxcove is rented, the larger Foxfire would not be. Not true. We're not sure why Cascade Vacation Rentals perpetuates this misconception by not responding to those reviews. 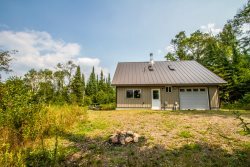 I wish website photos would show that about 30 feet from Foxfire's door is a huge lake home, with only a lawn between buildings- no trees or visual screen. Only one of four windows facing this large home has window coverings, leaving renters very exposed. The cabin itself is clean and on the shared shore. The location is good for hiking at state parks. We don't want other prospective renters to be as disappointed as we were by the privacy issue. Fantastic location, the cabin had everything we needed and nothing we didn't. Staying on a nice quiet road with easy lake access was awesome, and the stars were incredible. A perfect north shore getaway. The suite is fantastic - the size of the rooms, the cleanliness, the style all exceeded our expectations. We all said that we'd love to stay there again when going to Duluth. Parking was easy enough to find behind the building. The only drawbacks were that there was only one key, which is not enough for 4 people on a busy weekend, and that the check-in time is late and the check-out time is early. But I will recommend this place to anyone going to Duluth and looking for a nice big suite. My wife and I met the owner and she was extremely nice and accommodating, she is also the owner of the North Shore Winery which is just up the road. We stopped by and picked up a little treat to bring home! The place was great and met all of our needs; very comfortable, cozy, and modern. The view out of the front door / patio is fabulous! I know my wife and I would definitely stay at this location again. Beautiful well appointed home with super location on the lake. The home was quite spacious for the 8 of us. The view of the lake was great and the deck was large. Having 3 1/2 baths was a great plus. We felt very at home in your townhouse. It was a lovely home and we had a great time!!!! The weather also cooperated for us and we had 3 beautiful days. The beds were super comfortable and we had tons of room. Would love to come here again! We loved the view and sense of privacy. It was very comfortable for 2 people and had all we needed. A hidden jewel on the north shore. The private beach was the highlight of our stay. Service was excellent. On the last morning of our stay we had to drag ourselves away from the beach to return home. I'd like to thank the Grannis family for sharing their beautiful home. It would be nice if the broken microwave above the stove was replaced, instead of having one on the counter taking up space. It would be nice to have a empty pantry to use for dry goods, it was a slight inconvenience to be looking through bags for cereal, coffee, spices..misc. Theres no place to put dry goods. I would recommend bringing your own pots/pans unless you don't mind cooking with Teflon coming off the bottom. What Pointavu does offer is a amazing view inside and out. Plenty of really nice patio furniture. It was great having a fire by the lake. There's plenty of dishes, cups, bowls, dish (dishwasher) soap, laundry detergent, paper towels, toilet paper, games, movies (VHS and DVDs). It was nice having a gas grill. It is truly as pictured breathtaking views. If offered I would pay extra for Internet. I realize time should be spent outdoors and with the family but many of us work weekends and while on vacation. Would we stay there again, yes in a heartbeat!